Fearaphobia is a Haunted Attraction located in Bridgeport, TX. 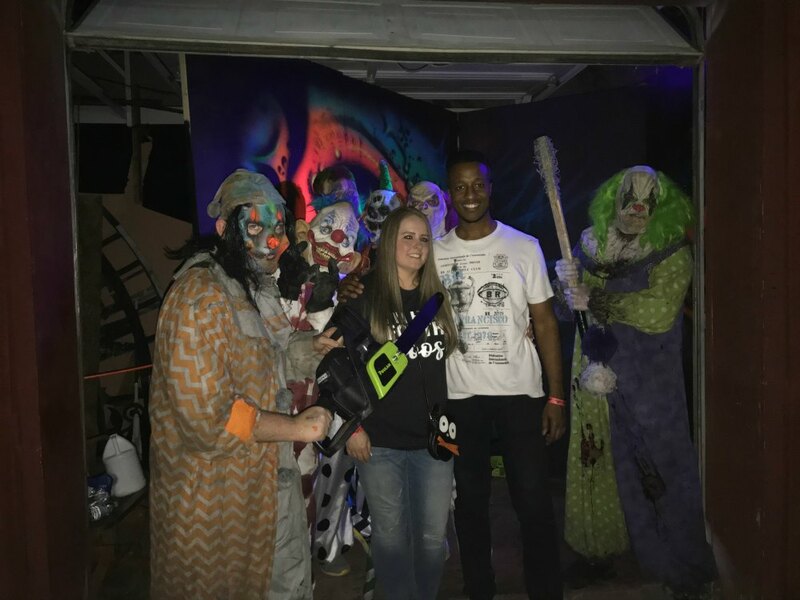 Team Nightmare in North Texas reviewed this attraction on October 7, 2017. Fearaphobia Haunted House is tucked away in the small town of Bridgeport, Texas. The haunt is located inside an old abandoned school house; which is also really haunted. The owner had a paranormal investigations team come out and 9 spirits were found residing inside the old school house. Fearaphobia is currently open during the Halloween haunt season only. The cast did an excellent job of contributing to the scenes they were in. The actors were very interactive with you and were very good at keeping the conversation creepy. Be aware, they are allowed to touch you in this haunt. They were very respectful and concise in regard to the touching. We never felt overwhelmed or underwhelmed by the amount of cast in each scene. The haunt also uses child actors, which was a treat. The child actors were very professional and believable. A couple of characters that stood out were Cletus and Yoyo the Clown. 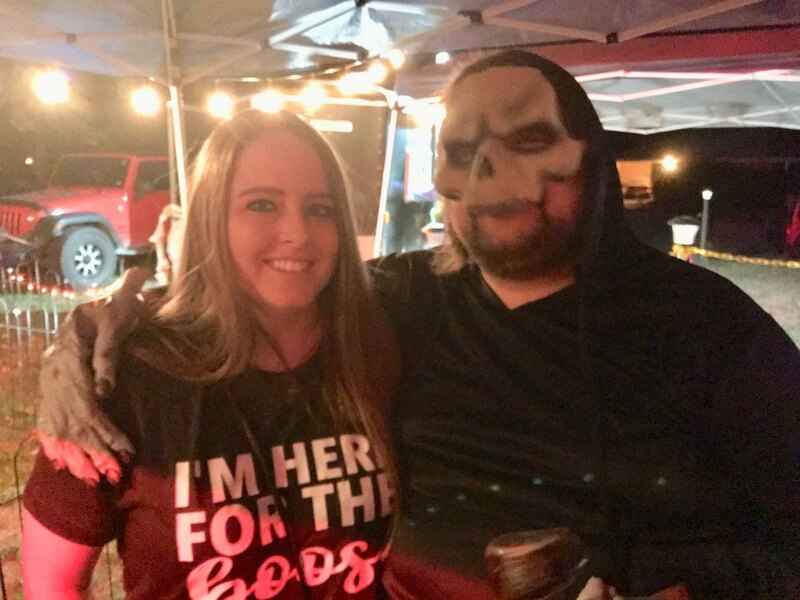 They were both located outside of the haunt to take pictures, entertain us and of course get some screams out of the customers in line. The costumes and makeup for the characters were nicely done and appropriately matched each scene in the haunt. They use makeup, masks, silicone and costumes to create the characters’ looks. A couple of the costumes really stood out to us. One was a demon in the first scene. The makeup and costume were phenomenally done and even creeped out a team member who is not easily scared! The other character that stood out was a venus fly trap character whose face was a huge open mouth with very sharp teeth. Of course, we have to give an honorable mention to the clowns who were awesomely done up like a creepy clown should be! Fearaphobia is located in the middle of a neighborhood and is easily located. There were signs that directed us to the haunt as we drove through the neighborhoods to find it. Street parking is available and free. Tickets can be purchased on site with cash or credit card, and can also be purchased in advance on the haunt’s website. As far as discounts go, if you buy the tickets online through the haunt’s website, they give you a $5 discount on general admission tickets. We also found that there was a Groupon available for 30% off tickets. At the ticket booth there was a nice lady dressed up as Flo from Progressive. It’s always fun when the people at the ticket booth are having fun with their role. The line to get the tickets was speedy and easy. When we got in line to enter the haunt, we were entertained by Yoyo the Clown and Cletus, a gold club wielding masked man, while waiting to enter the haunt. Groups were sent in individually. We enjoyed that aspect of the grouping since our party could experience the haunt individually and not be sent in as a large herd. The haunt spaced out sending in the groups perfectly. We never ran into the group ahead of us and never saw the group behind us the whole time. There wasn’t any food or merchandise available for purchase. There are port-o-potties on site. The line to get tickets and the line to enter the haunt are both outdoors. Fearaphobia is located in Bridgeport, which is about an hour drive from the DFW metroplex. For some that may be off putting, however, once you get out of the big city and into the rural part of the drive, you are in for a treat. The roads are dark and pretty empty, building the anticipation of going to a haunted house. While waiting in line there were actors out and about providing scares and laughs. One of our team members went to use the port-o-potty and was promptly greeted by a clown upon exiting. We did wish there was a little more going on outside while in line, such as music or more sound effects to add to the anticipation. Fearaphobia does not rely on animatronics or sound machines to make their haunt effective. They unitize their props, actors, lights and sets very well . The actors provided a lot of the sounds throughout the haunt. The use of props and lighting were strategic. There was one scene where the lighting was used in such a way, that we could not tell if we were looking at an actual person crawling towards us or if it was a special effect. Finding out it was a real person was a nice, frightening surprise! There is also a 3D clown room which was nice and colorful. The clowns blended into the scene nicely and gave us a fun time. The props used throughout the scenes were very impressive. One room had an antique refrigerator door that you had to open to get to the next room. This year’s theme is good vs evil. The theme played out well through the haunt starting at the first scene. Some of the actors were the good that were trapped inside the haunt trying to escape the evil. The overall theme of the haunt, which is fears and phobias, definitely caters to just that. There are instances where fear of the dark, claustrophobia, and coulrophobia (fear of clowns) were used, amongst others. There are many frights in store for you at Fearaphobia. Like mentioned previously, if you have a phobia, then you will find a spot in this haunt that will give you a good scare. The actors in this haunt are strategic about the jump scares, where you will not see them coming. The actors managed to get a few good scares out of one of our group members who normally does not get startled by jump scares. The use of props in the haunt and the fact that the actors can touch you add to the fright effect. You will not regret spending your money on a ticket at Fearaphobia. The walk through time is approximately 30 minutes and is well worth the ticket price. That also brings their MPD (minutes of entertainment received per dollar spent) to 1.5 which is right at the average seen most often. Tickets onsite are $20 general admission for adults, $15 general admission for children 12 and under, and $25 for a fast pass. If you buy online, the general admission tickets for adults and children are discounted by $5, but there is a convenience fee. You cannot buy the fast pass online. I would highly recommend visiting Fearaphobia this Halloween season. As their slogan says; “Small Town, Big Scares” and we must say, they are absolutely right about that! 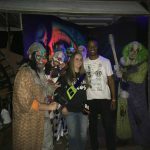 Each Year I come to visit Fearaphobia Haunted House because my Family lives in Bridgeport Texas! 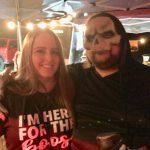 I …show more love Haunted Houses, and have been to lots of them and I would rank Fearaphobia at the top of my list! Each Set is full of Detail, and beautifully ranged to get the most scared of out of each room! The Actors are on point, and seems happy to be scaring the Daylight out of People! The building itself is creepy! I was given a tour of the Haunt in the off-season… wow all the hard work they put into making this place scary, is amazing! I can’t wait till this Year… I will keep coming back!